Attention all mums-to-be and new parents! 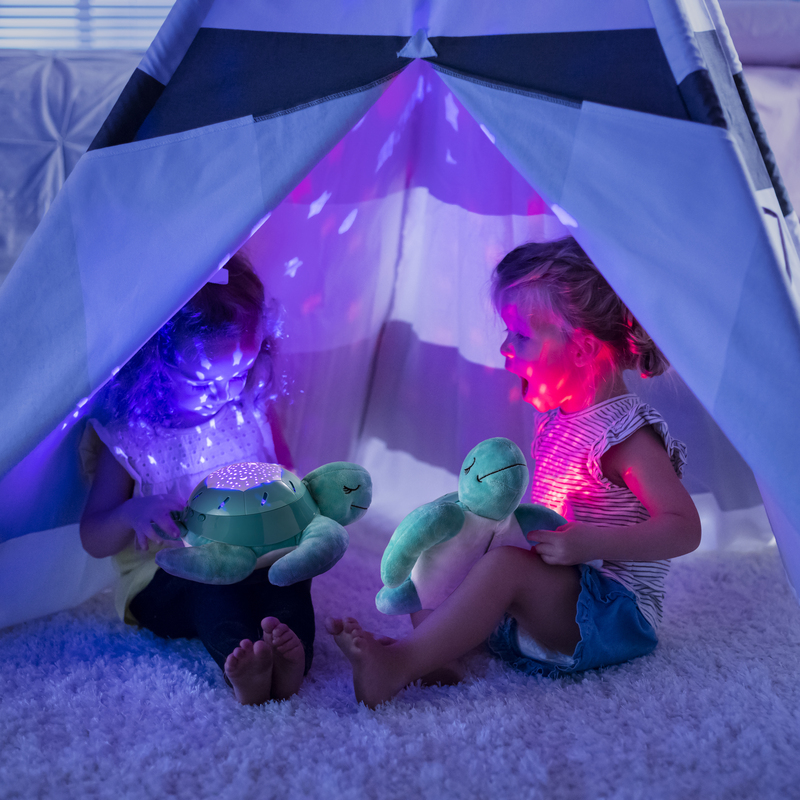 Summer Infant recently introduced a new addition to the hugely popular Slumber Buddies range, the Soothing Turtle. This new – and very cuddly - design has six different colours of noise projected through starry lights and sounds, to help soothe baby to sleep. But there’s more to this clever little turtle that meets the eyes (or ears, for that matter). Did you know there are many noise frequencies depicted by colour that are scientifically proven to help our moods? The different colour choices are important, because each baby responds to the varying noise colours in unique ways. For example, white noise is a popular sound frequency that is known to help babies fall and stay asleep by blocking out other noises around the house through sound masking and cancellation. Whereas pink noise offers a more subdued sound than white noise, like the soft roar of a rainstorm, which can help soothe babies and young children, achieve deeper sleep and alleviate headaches. Similar to pink noise, brown noise focuses on a low frequency and sounds similar to a deep hum or buzz to help relaxation and in turn sleep improvement. Then there’s green noise, which acts to simulate the ambient noise of nature and is used in meditation for its healing and strengthening properties. It is believed green noise can stimulate inner peace, increase immunity and improve focus. At the other end of the spectrum purple noise helps block out noises at a higher frequency and sounds similar to water being sprayed. Blue noise is similar to purple noise but at a less intense frequency. It masks high frequency sounds that can occur around the house that may not be heard by the adult human ear, including noises from electrical outlets and heating systems. The Soothing Turtle is available in Argos with a guide retail price of £29.99. It is part of a much wider range of Summer Infant products aimed at providing a helping hand through the parenting journey. Summer Infant span several categories from monitors to potties to help daily routines go that little bit smoother and to give parents that extra peace of mind. To enter: We’ve got three Soothing Turtles up for grabs. For your chance to win one, simply use the Rafflecopter widget below to answer the following question: What does green noise help to do? Helps block out noises at a higher frequency and sounds similar to water being sprayed. Stimulate the ambient noise of nature and is used in meditation for its healing and strengthening properties. Offers a more subdued sound, like the soft roar of a rainstorm, which can help achieve deeper sleep and alleviate headaches.